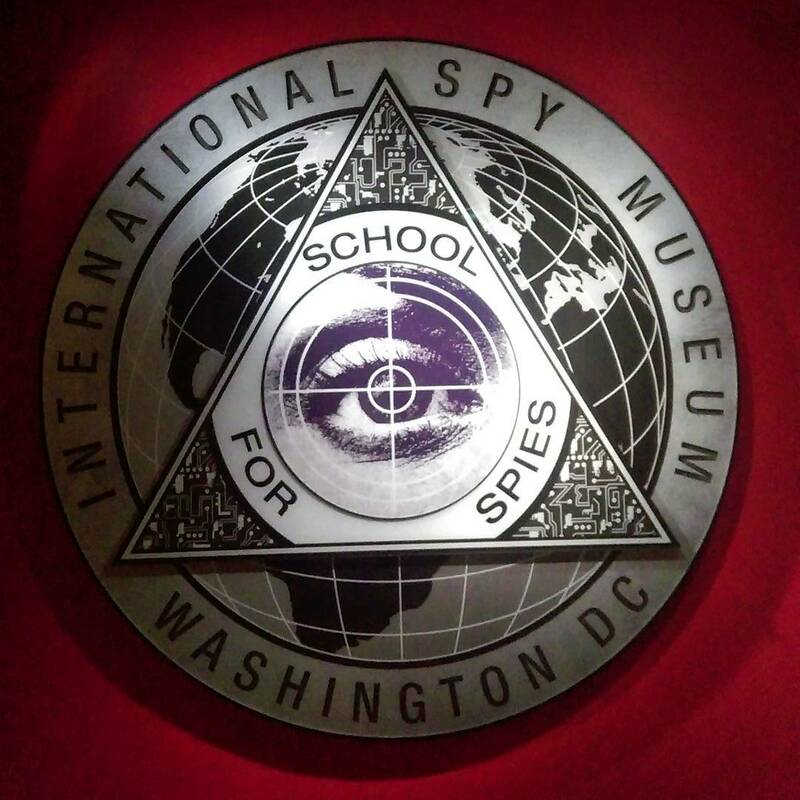 On Sunday, the day after OutWrite DC, which we’ll write about later, Racheline and I and our partners (who were very game) trekked downtown to the Spy Museum, because we are the kind of nerds who need to research outlandish gadgets for our spy novels. 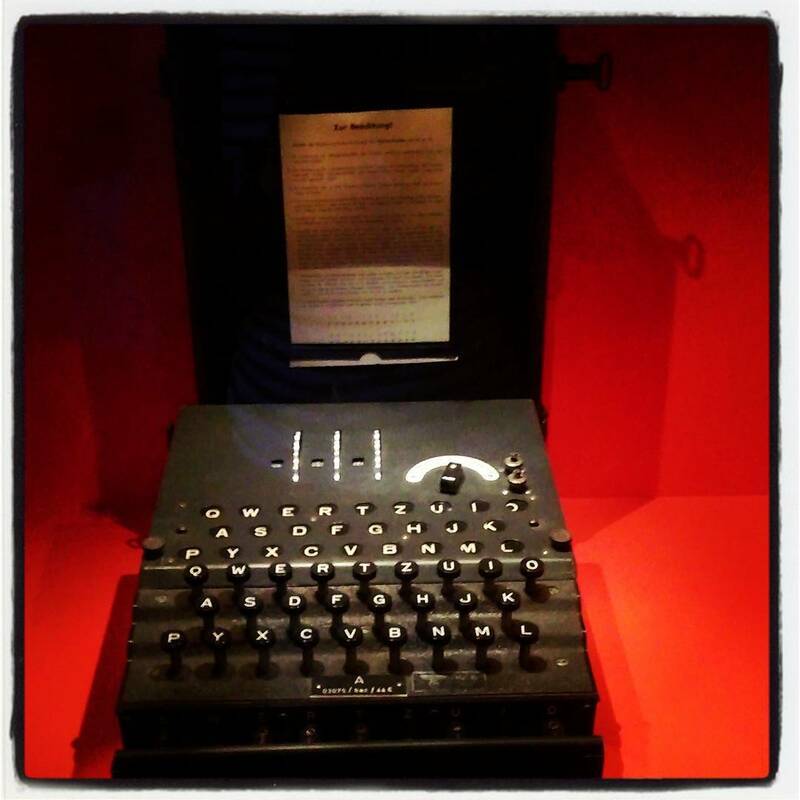 Have we mentioned we’re writing a spy novel? Because we absolutely are. I don’t think either of us expected to enjoy it as much as we did. 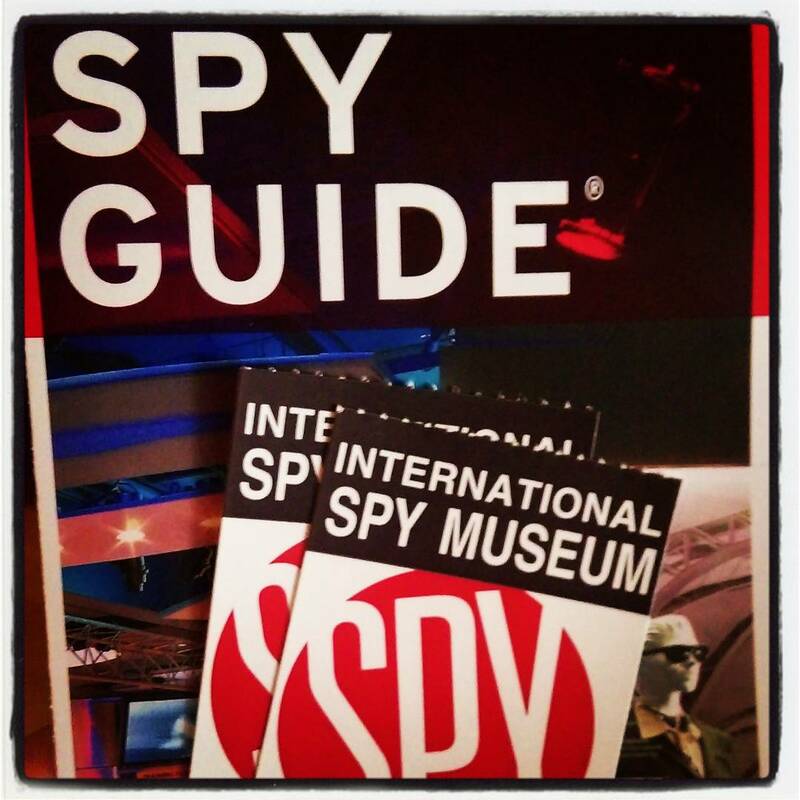 Mostly, we thought we’d wander around, get inspirations for our fictional spy technology, and try not to annoy our partners by talking about our spy dudes completely obsessively. 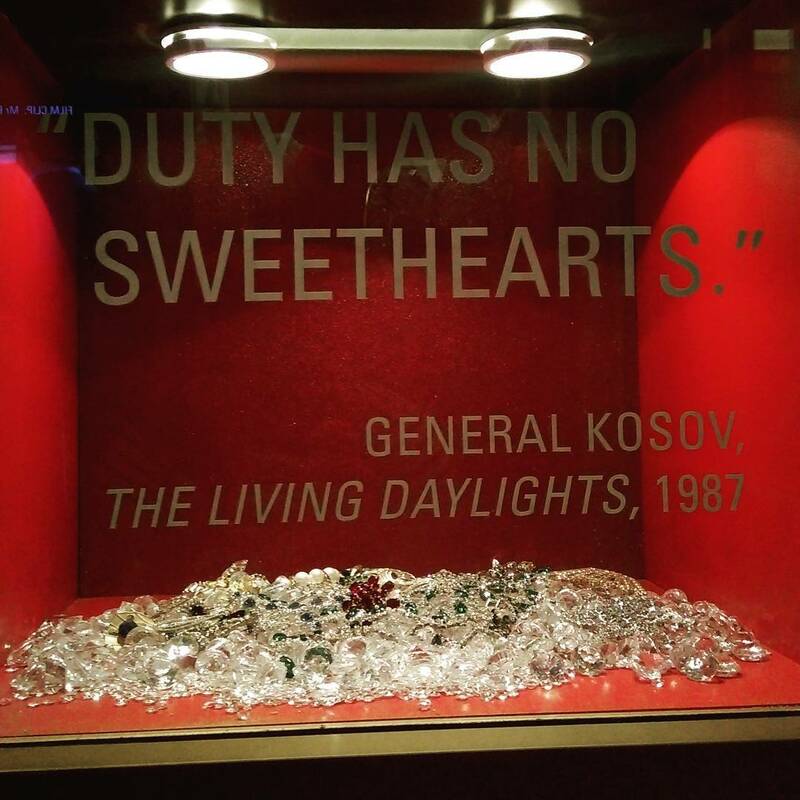 Instead we ended up getting really into the whole “Choose and act out your cover!” activities the museum has going and taking eight zillion pictures not just of awesome gadgets (Button cameras: they do exist) but of displays about the life and times of actual spies. Also Racheline crawled through ductwork on a “mission,” because she is very dedicated. I did not, because I got really distracted by a display on bugs. What really surprised us was how absolutely ridiculous actual spy technology was in the pre-microchip era. Not only were there button cameras, there was the fake tree stump in which Americans planted a camera in the woods to spy on the Russians. There was also the cyanide-pill-glasses and the umbrella gun, which made us very happy. There was a tonal atmosphere that we didn’t expect and that we enjoyed very much; one of sheer creativity and excitement to do the ridiculous thing and to do the ridiculous thing better than the other guy. 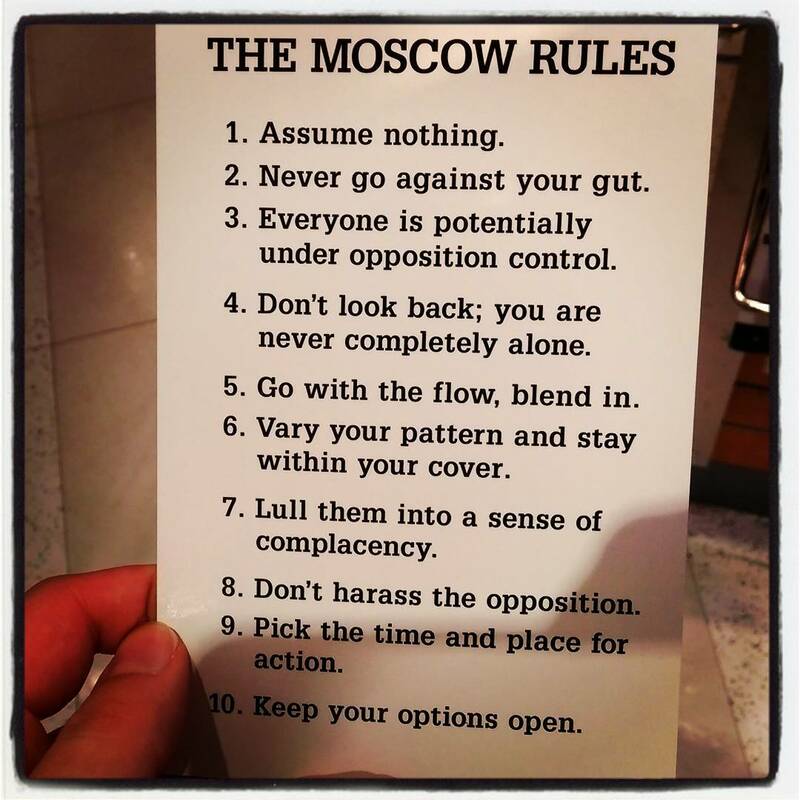 And in counterpoint to that, the museum spends a lot of time talking about the consequences of being a spy — not just the consequences of getting caught, but of the isolation and paranoia that ultimately dominate the life of a spy. Which, because we love writing gritty things and real consequences, we were all over. Often, Racheline and I will look at a thing and say “We want to write a story about that.” Less often do we make that decision, and then find some other thing that a) Corrects our own misconceptions about the thing and b) Shows us that the thing is even cooler, and even more up our alley, than we initially thought. Because the umbrella thing isn’t just our stupid favorite prop from Kingsman; it’s an actual thing that actually existed, because someone said “That’s a good idea” and then made it happen. And that’s the kind of creative joy that we are here for. This entry was posted in Uncategorized and tagged Erin and Racheline Do Stuff. Bookmark the permalink.